You have started a business and you aren't making a profit. You've heard that the IRS won't accept business deductions if it considers your business a hobby. But what's the truth? 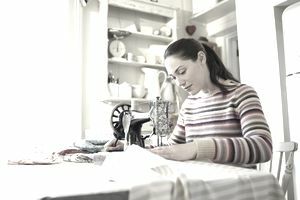 As you might expect, the IRS distinguishes between legitimate businesses and hobby activities, for the purpose of taxes. If you are legitimately in business, you can deduct the expenses of that business and possibly take a loss if your business isn't profitable. If you are engaging in a hobby, you cannot deduct expenses to get a loss to offset other income. The IRS calls this the "hobby loss" rule. Many legitimate businesses start out with a loss their first few years. But the IRS expects that a legitimate business will be set up to make a profit, not just have a hobby. Unfortunately, some people start "businesses" that are really hobbies just to claim the expenses and the loss on their tax returns. These situations have caused the IRS to look skeptically at all small businesses that have a hobby component to them, making it more difficult for businesses to be viewed as "real" if they have losses at start-up. If you follow these guidelines, you can minimize your chances of being considered a hobby. Has a primary purpose of "income or profit." Is engaged in "with continuity and regularity." Will the IRS Consider My Business a Hobby? There is no place where you designate the deductions from your activity as a business or hobby. It's the IRS that determines if your activity is a business or a hobby. This doesn't happen unless you get audited. So you want to be sure that you can show that your activity meets the guidelines listed above. What Is a "Hobby Loss"? Can a Corporation Have a Hobby Loss? The term "hobby loss" refers to an enterprise that is set up primarily as a hobby but which makes a little money and runs a loss. The IRS frowns upon taking these "hobby losses" on your tax return to avoid paying taxes. Consider first whether you can show that your business intends to make a profit, by using the IRS guidelines above. Because a corporation is a separate business entity, the IRS does not recognize the "hobby loss" rules for corporations. Because S corporation profits and losses are part of personal tax returns, the "hobby loss" rules do apply. What If My Business Doesn't Make a Profit? If the business doesn't make a profit in the first few years, the other factors listed above may be considered in the determination of whether a business is a hobby. Registering the business with a state as an LLC or partnership. Having regular business hours, maintaining a business website. In addition to helping legitimize your business in the eyes of the IRS, these activities are important for every business. Finally, this statement from the IRS: "The IRS presumes that an activity is carried on for profit if it makes a profit during at least three of the last five tax years, including the current year — at least two of the last seven years for activities that consist primarily of breeding, showing, training or racing horses." Note that the 3 out of 5 statement is a guideline, not a rule and that all other factors must be taken into consideration. How Do Expenses Get Deducted for a Business and a Hobby? A business would file its taxes on a business tax return. For most small businesses, that means filing a Schedule C for business income. The net income from the business is then included on the individual's personal tax return. If your business is an LLC or partnership or S corporation, you would prepare a tax return for that business and take the resulting income over to your personal tax return. Expenses for hobby activities may be included with other itemized deductions on Schedule A, but you may not deduct expenses in excess of income. For more information, read this article with details from a recent tax court case about how a business that has not made a profit might still be considered a legitimate "for profit" business.